Are You Seeking a Big Change in Your Health and Performance? 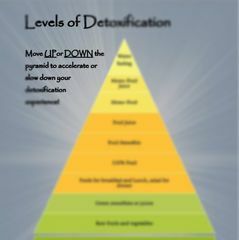 The reason you feel "off" is simply because your outer body and health are not reflecting the youth and vitality you know is possible for you. 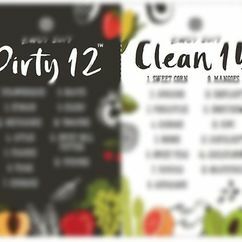 It's time to wipe your slate clean and reset your body to the health - and performance - you've always wanted. It's time to have the healthy body, mental clarity, and soul-guided purpose that you know already exist inside you. Get Ready for a Total Body Reset! ...And Finally Have The LEAN AND HEALTHY Body You've Always Wanted! 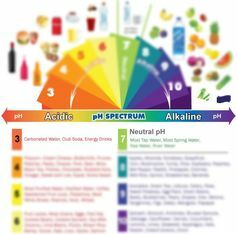 Looking for the Cleanse Portal? Click HERE! ...this 14-Day Challenge Is FOR YOU!! ​Does this scenario sound familiar to you? It seems you can't quite pound the pavement or beat your body into submission like you used to. 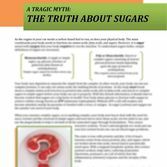 So you dive into the latest nutrition craze, and it seems to help...for a little while...except for those few "problem areas" ...and those new aches and pains...and where did these headaches come from? Wait - this is getting too confusing. You decide to check in with your doctor to see what is going on. It doesn't seem to be anything major, something just feels not quite right...maybe if you catch this early, you can figure out what it is and stop it. ...Then you either give in to the (false) fact that you are getting old and falling apart, or you keep searching for answers. The problem is your life is busy. You only have so much time to search, and the answers you find are either depressing, sound impossible, or outright contradict other answers you found. The internet ("Dr. Google") turns out to be just as helpful as your doctor...whose voice you continue to hear in your head telling you you are normal and just "showing signs of aging". ​At this point you're thinking, "Just end this all now and spare me the slow, painful descent into growing old". ​...and now your aches and pains are speaking louder than ever. You know you need to do something about it, but you also feel you have nowhere to turn. You are just not getting the answers you are looking for. Your doctor seems to have failed you, and Google has just confused and overwhelmed you. Hello. My name is Arttemis Keszainn. Over the past 16 years I have helped more than 25,000 people across the US, and in Australia, Canada, Mexico and Europe,change their weightloss set point, vastly improve their health, and live healthy, happy lives. How do I know this story of hopeless health woes so well? ​Because it is all too familiar to me. I have heard it thousands of times - including from my wife when we first met. ​Flashback to 13 years ago, when I first met my wife. She was a successful, goal-oriented professional who owned her own fitness business. Though her business life was fairly successful, and her body was visibly in great shape, her underlying health was a mess. ...She also had dark brown circles under her eyes and was having recurring hives that spread across her full torso. Nutritionists told her she was already doing everything right and eating well. Doctors told her she just needed some Benadryl. My wife knew better. 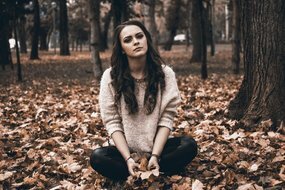 She knew something was "off" in her body - she just did not know what it was or what to do about it. We just met, and I liked her - alot. I really wanted to help her...and impress her... so I put my years of experience apprenticing directly under some of our country's best healers in Chinese Medicine, Essential Oil Therapies, Applied Kinesiology, and multiple Holistic Healing Modalities to good use. Her skin regained its youthful glow - without expensive makeup or skincare products. ...But it took 2 years to reach these awesome results. Thank goodness she stayed with me long enough to see the payoff! Since then, I have worked with thousands of women in similar situations...and in much worse situations. I noticed some important similarities in their stories and discovered a way to laser-focus what used to take 2 years into about 6 months. 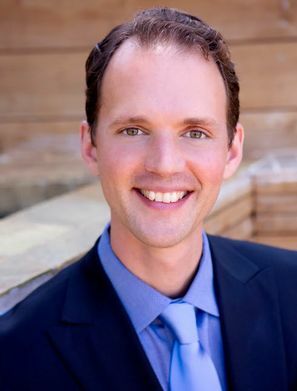 ​That's right - I found a way to RESET THE BODY'S "SET POINT", creating an environment where illness and disease simply have no foothold, AND I ALSO FOUND A WAY TO FAST-TRACK THIS REAL HEALTH TRANSFORMATION by 400%. Wow! This is not stock photography - it's a real photo of my wife after her successful body reset! CLICK HERE To Change Your Weight Loss Set Point IN RECORD TIME! So what is a person in a seemingly hopeless and helpless situation to do? What do you do if your doctor essentially says, "It's all in your head?" What can you do if you come home with the possibility of a scary diagnosis? What do you do if you just know "something's off," but you haven't been able to figure out what it is or how to correct it? ...the value this has for my life is beyond anything I imagined receiving from the (Total Body) Reset. ​...And DON'T PANIC! It's WAY simpler and easier than you're thinking! Stop seeking and searching for your answers. Stop biting your nails and keeping yourself awake at night with worry and mind chatter about, "what if..."
​Your health is calling you. The reason you feel "off" is simply because your outer body and health are not reflecting the youth and vitality you feel deep inside. It's time to wipe your slate clean and reset your body to the health - and shape - you've always wanted. It's time to have the healthy body you know already exists inside you. Finally learn how to have the body - and the health - YOU'VE ALWAYS WANTED. CHANGE your WEIGHT LOSS SET POINT. Get to the ROOT of mystery illness and learn to create an environment where ILLNESS AND DISEASE CANNOT EXIST. 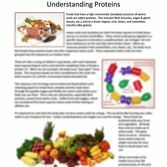 Discover which foods help your body hydrate, cleanse and renew - revealing the YOUTH and VITALITY you know are inside, just ready and waiting for the right conditions to come out and SHINE. 3 Unique Meal Plans to Fit Any Lifestyle… Learn How to Overcome Your Cravings and Stay Focused! 4 - 75min Recorded Video Master Classes, teaching you how to CHANGE YOUR WEIGHT LOSS SET POINT and ERADICATE MYSTERY ILLNESS and Disease. 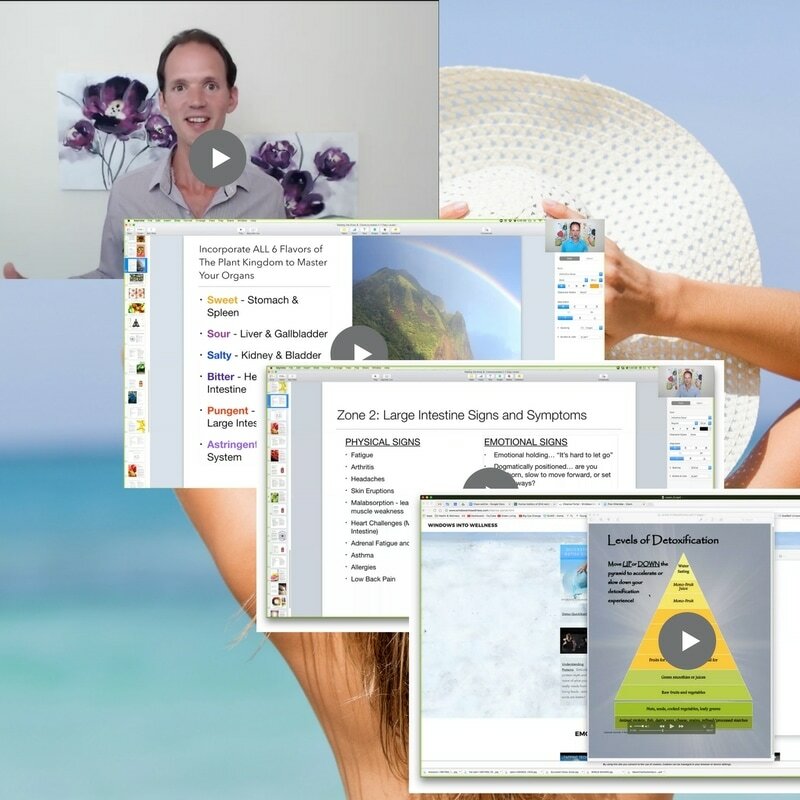 4 Live Coaching Sessions and Group Video Check-Ins to KEEP YOU ON TRACK! Over 50+ Recipes incorporating all 7 Colors and 6 Flavors of Gourmet Living Food Cuisine, making your challenge Interesting, Fun and DELICIOUS. 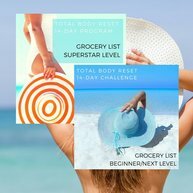 Your Own Grocery Shopping List - make all your shopping FUN & EASY. 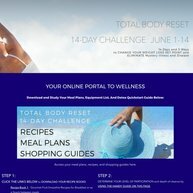 Simple Online Portal at WindowsIntoWellness.com to access your Recipes, Resource Guide, Bonuses, and Live Video Check-ins. All your course materials are in one easy-to-access place! 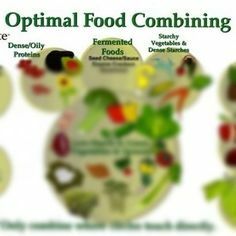 Bonus PDFs and videos teaching conscious nutrition, live food basics, and advanced regenerative detoxification techniques! CLICK HERE To Join The 14-Day Challenge! To Help More People THRIVE! I love helping people achieve the seemingly impossible. I love seeing my clients move from feeling hopeless and helpless to feeling enthusiastic and invincible. I love hearing the spark of victory in their voices and seeing their looks of glee as they regain their youthful energy and vitality. Which is why I am so excited about the TOTAL BODY RESET 14-DAY CHALLENGE. Now I can help you get the body and health you've always wanted - even if you are not enrolled in one of my exclusive premium coaching packages. I am excited to see your transformation, your empowerment, and your success! Yes! 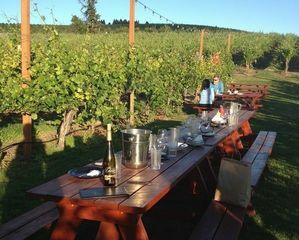 I Am Ready For My Total Body Reset - Take Me There Now! 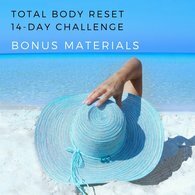 When you join the Total Body Reset 14-Day Challenge, you also receive some AWESOME BONUSES! Produce Purchasing Chart - Learn which produce to ALWAYS buy organic, and which is safe to buy conventional. 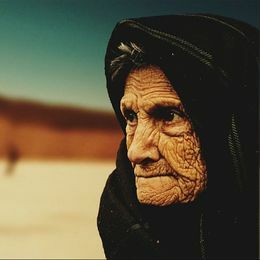 General Fasting Guide - Learn the sound principles of fasting to reverse aging, look and feel younger, and heal the root causes of what ails you. Essential Oil Abdominal Massage Guide - Supercharge your cleanse with powerful essential oils to remove bloating, nausea, fatigue and headaches. Video 1: Which Conventional Foods are Safe? Save money while shopping for fresh foods! Video 2: How to Shop for Maximum Nutrition and Flavor - How to tell when your produce is RIPE and ready to eat! Video Series: Emotions - The Root Cause of Pain and Inflammation. Get to the root of pain and inflammation and watch it disappear! CLICK HERE To Join The 14-Day Challenge and Claim Your Bonuses! 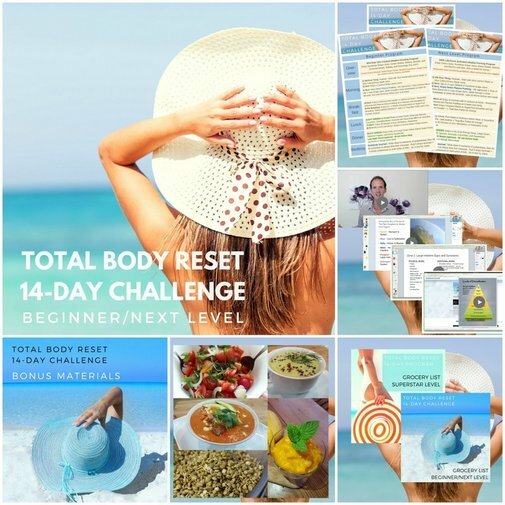 The TOTAL BODY RESET 14-Day Challenge - JOIN NOW! I share this information in my exclusive $10,000 Premium Coaching Packages...but you won't pay $10,000 for it. You will not even pay $1,000 for it. A single consultation with me runs $500, and there is no way we could cover this amount of specificity in a single session...but the price for your 14-Day Challenge is even less than $500. 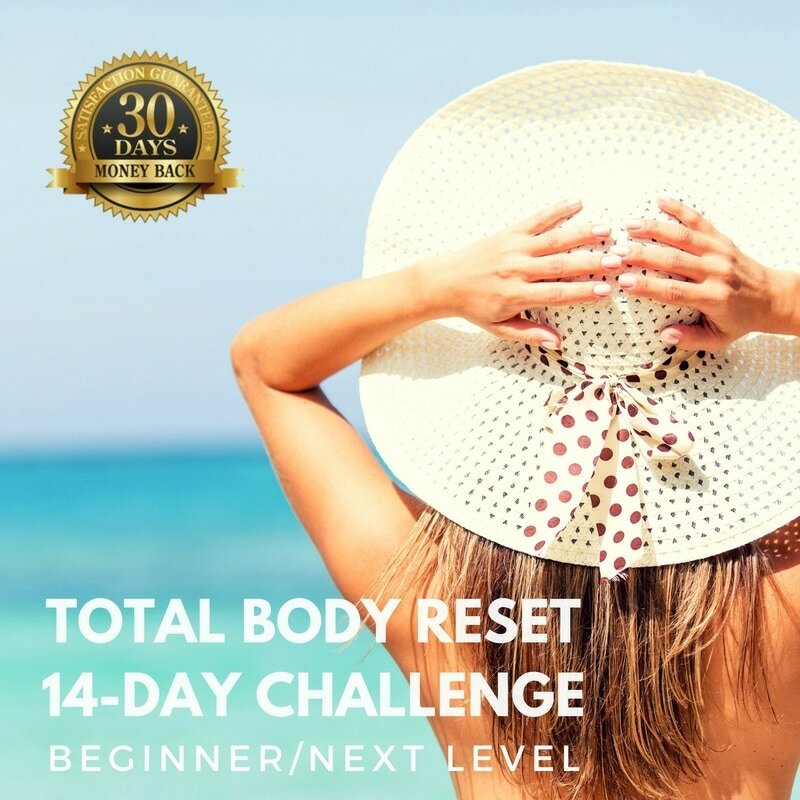 The TOTAL BODY RESET gives you all of the benefit from this premium Health and BODY RESHAPING experience at a small fraction of the price of other coaching packages... AND STILL RECEIVE THE PERSONAL ATTENTION YOU DESERVE. I am so excited to have this special opportunity to work with you! ...it won't even cost $500. AND I want to be sure you receive great value and have an amazing experience, so I am also giving you a 30-Day no-questions-asked money back guarantee. 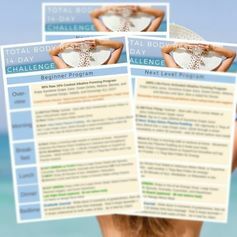 If for any reason you are not thrilled with the TOTAL BODY RESET Challenge, simply contact me for a full refund. All you have to lose is the excess "fluff and stuff" you've been carrying for long enough. Finally have the body - and the health - YOU'VE ALWAYS WANTED. 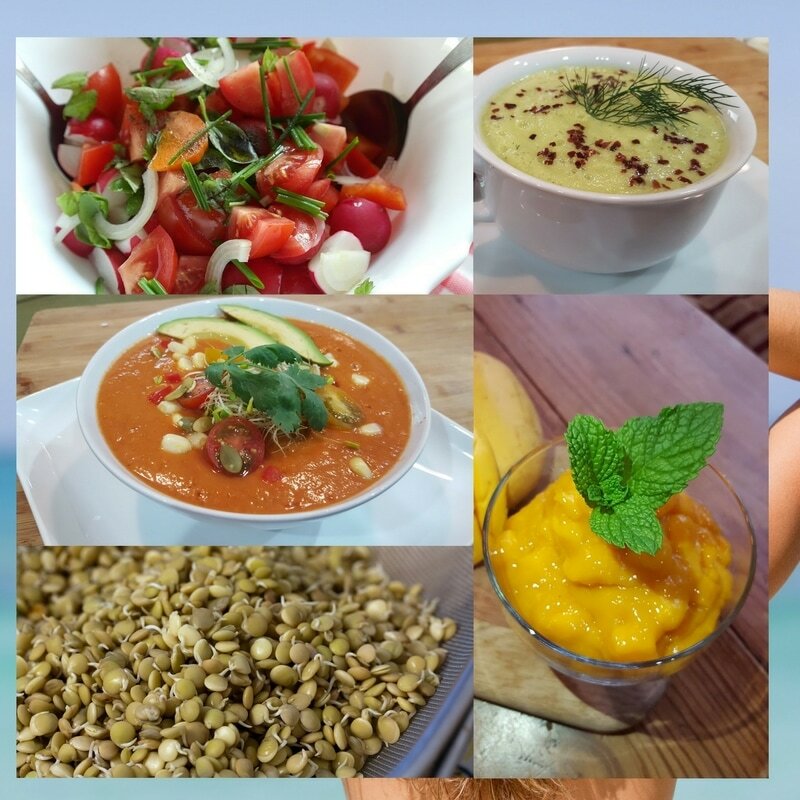 Discover which foods help your body RESET - revealing the YOUTH and VITALITY you know are inside, just ready and waiting for the right conditions to come out and SHINE.